NHL Central | Welcome to the show. What Happens Now : The Saga of Rick Nash Continues. The 50th NHL Entry Draft will be held in Pittsburgh, Pennsylvania at the newly constructed Consol Energy Center June 22-23, 2012. The rankings have been determined, and #1 prospect Nail Yakupov is set to go #1 to the Edmonton Oilers. But does Edmonton really need another young forward? They already have an influx of talent of front. With forwards like Taylor Hall, Jordan Eberle, Ryan Nugent-Hopkins, Sam Gagner and Magnus Paajarvi they don’t need any more gamebreakers. What they could use is a good defenseman, and that is where the confusion begins. If the Oilers decide not go for Nail, who will they pick second? Well if they do decide not to draft Nail, watch for them to trade down a pick or two where they will snap up a defenseman, and another team will take the skilled Russian sniper with the #1 pick. But who will be taken 2nd overall? I believe that Ryan Murray has the potential to go 2nd overall. They key thing about Murray is that he is not risky pick. All the scouts that have seen him play believe that he will play in the NHL some day. However, it may be as a 3rd or 4th defensemen, they aren’t quite sure. He only recorded 31 points in 46 in the ‘Dub this season. Despite that, he is the surest pick in the draft and could be a mainstay on any teams blueline. Another player that could be snapped up 2nd is Swedish forward Filip Forsberg. Already previewed on my blog, he blends size with skill and standing at 6’2 and 181 pounds, Forsberg only has room to increase his advantages. He lead a strong Swedish team with 4 goals in 5 games at the Ivan Hlinka tournament in the summer against players of his own age. Forsberg can also play a 200 foot game and would be a welcome addition to a team that needs some size up front. Mikhail Grigorenko is forward that has an outside shot of being picked 2nd in the 2012 NHL Entry draft. The best prospect from the QMJHL challenged Yakupov for #1 prospect status for much of the season. He is another big player at 6’3, 200 pounds and seems ahead of his age group, recording 85 points in only 59 games in the Q. Known to take over games with his talent, the Russian factor will work against him and he may fall. The real dark horse is Russian center Alex Galchenyuk. After a season where he recorded 83 points in 68 games with in the OHL with the Sarnia Sting, he missed all but two regular season games this year due to a knee injury. Galchenyuk was drafted #1 in the 2010 OHL Priority Selection Draft and he has a tremendous amount of skill. Ranked at #16 by the International Scouting Service, a team that is looking to take a risk could hit it big with him. Okay, I would like to start this article off with an apology. I apologize for halting my release of posts. Before my unforced hiatus I was posting at least an article a day, sometimes two. But I have now gone 5 days without releasing any new material, and for this I feel a great deal of regret. My lack of posts can be traced directly to my loss of interest in the 2012 NHL playoffs. Because of the way the NHL runs their business, the first and second rounds are more exciting than the 3rd and 4th rounds. Would you rather watch Philadelphia vs. Pittsburgh or Phoenix vs. Nashville? The teams that have experienced success this post season is another great source of frustration for me. Los Angeles and Phoenix will clash in the Western Conference Finals. One of those two teams will win the Clarence S. Campbell Bowl for being the Western Conference Champion. If you had told me that the Kings and Coyotes would be the best in the West in 2012 last year, I would probably have laughed right in your face. Sure, parity is great, but it adds to the first round match ups and takes away from the later rounds. As a hockey fan in Ontario I am not willing to stay up until 10 o’clock to watch two teams that I don’t particularly like. The hockey that is being played by these two teams is not the hard hitting, offensive game that the playoffs are known for. Rather, the two teams both play a defensive game in front of excellent goaltenders. This equation works out to less goals scored overall and less fun had overall by the spectators. Don’t get me wrong. I am not belittling or detracting the success that Phoenix or Los Angeles has had. Good on them. But if upsets me that Gary Bettman still refuses to move more teams to Canada. Sure we have Winnipeg now, but look at the success they’re having. Make it 8. Make it 9! An article from the Canadian press suggests that Canada could support 9 NHL teams. Give Canadians a chance and give us more hockey, more of the time. This post will be short because there is not very much that the Edmonton Oilers need to do to make their team better. They already have young pieces in place for success in the future, but they do need to complement their awesome talent up front with goaltending. Today Devan Dubnyk is at the IIHF World Hockey Championships representing Canada. But the Oilers still don’t know if he is their goalie of the future. At 26 years old, he still hasn’t proved that he is ready for #1 duty in the NHL. Edmonton’s other keeper, Nikolai Khabibulin is now 39 years old and is almost ready to retire. It would be a good idea for the Oilers to pick up a good #1 goalie in the off season. Someone like Roberto Luongo, who is rumored to be on the trade block, could be paired with an NHL defenseman like Chris Tanev to be swapped for the for the Oilers first pick in the NHL Entry Draft this year. A crazy trade this this would be exactly what the city of Edmonton needs to propel them into the playoffs. Other than a goalie, the Oilers’ only other real need is on defense, where they could use a puck moving offensive D man. If one cannot be acquired in a trade, Ryan Murray will be available when they make their first pick. These two needs are the only holes in their lineups that need to be filled. The Edmonton Oilers are one of the best young teams in the league. Boasting forwards such as Taylor Hall, Jordan Eberle, Ryan-Nugent-Hopkins and Sam Gagner; the Oilers are primed to be contenders for the Cup in a long time. Did I say in a long time? I meant for a long time. But the kids still need some time in Edmonton. Their young forwards are still green, but as they gain experience their team will take a giant leap forward. And if they get a good defenseman and goaltender, the Western Conference had better watch out. Because the Oilers will be coming for them. Breaking curfew is a serious misdemeanor for young people. Teens are often hit with tough punishments for staying out too late. Privileges being revoked are usually the main punishment. But what about when professional hockey players stay out too late and thus break a team rule? 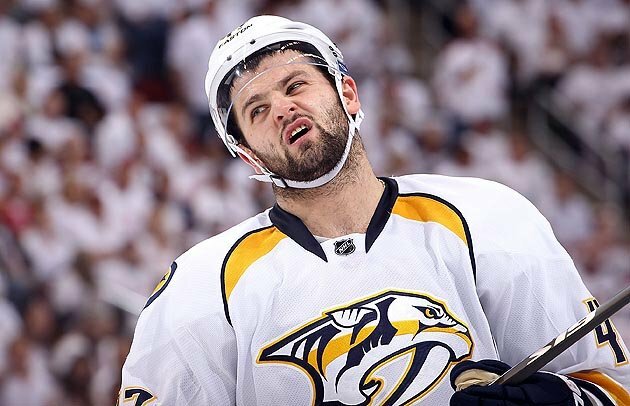 That is exactly the case of what happened with Nashville Predators forwards Alexander Radulov and Andrei Kostitsyn. They have both been told by Preds General Manager David Poile that they will not being playing in game 3 of their 2nd round playoff series with the Phoenix Coyotes because they stayed out too late. Already down 2-0 in the series, is it really worth going down 3-0 to teach your players a lesson? In an old school move that would make Doug Gilmour proud, Nashville is teaching its players that it is not okay to violate team rules, and I agree with the decision. After all, these two men will not be able to play hockey at the NHL level forever and they will most likely need to find jobs after their careers are over. Poile is doing a great job teaching accountability and responsibility to these players, something that they will have to learn at some point in their lives. They cannot breeze through their whole life ignoring rules, at some point it needs to stop. This punishment will also serve its intended purpose: they will not stay out past curfew again in their tenure with Nashville. Radulov and Kostisyn now know the consequences of such actions. Additionally, the Predators have made an example of these delinquents. I doubt anyone else on the team will stay past curfew after the actions taken against the delinquents. The only problem with this decision comes in the form of two glaring holes in the lineup the Predators will try to fill in the best way they know how, by committee. Much like their opponents, they boast no marquee forwards and the loss of Radulov and Kostitsyn, their two top scorers in the playoffs so far, will hurt Nashville’s offense. If the rest of the team cannot pick up the scoring slack and Rinne has another sub-par game, Phoenix may be able to take a 3-0 stranglehold on the series. But even if the Preds fall in game 3, I have newfound respect for the organization of the Nashville Predators. Most team would let their players off with a warning and let them play, but Nashville has decided to take the path less traveled and go against the grain. 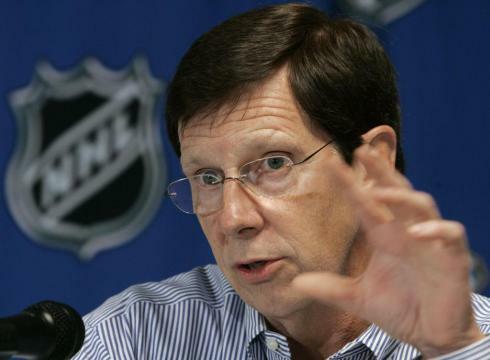 Thank you Mr. Poile. Demonstrating class that rivals that of the Detroit Red Wings and Buffalo Sabres, the Nashville Predators organization has impressed me. It turns out all the Coyotes really needed was a good Canadian boy to play net for them. 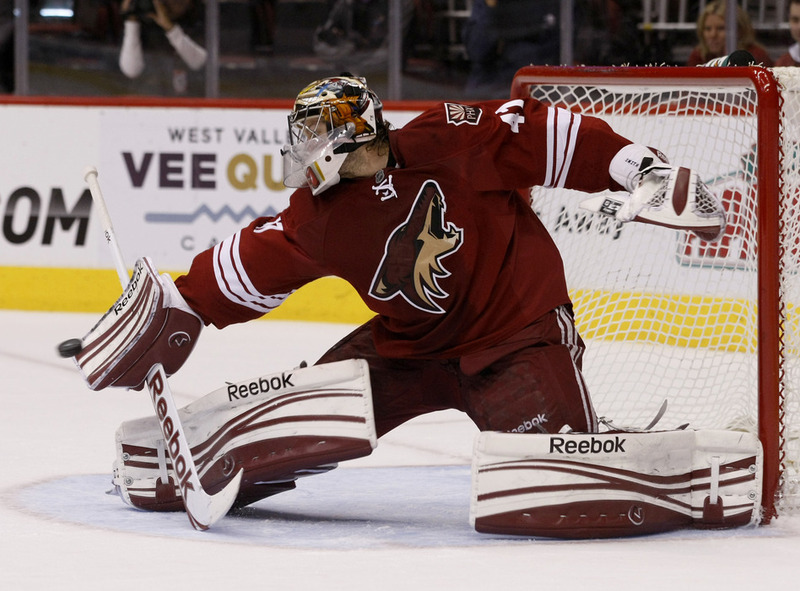 With Ilya Bryzgalov off making twice as much as he’s worth, the Coyotes decided to pick up Smith as a free-agent for a two-year contract worth $2 million. With Bryzgalov posting average numbers this season (.909 SV% and 2.48 GAA) in Philadelphia, Smith excelled as the starter in Phoenix, playing 67 saves and posting a sparking .930 SV%. He was also able to do what ‘Bryz’ was not able to do in his whole career with the Desert Dogs, get them to the second round. Smith led his team to the Western Conference semifinals for the first time in 25 years with a .950SV% in a 6 game series over the Chicago Blackhawks, who are only two years removed from their Stanley Cup win in 2010. Now with a 2-0 series lead against the Nashville Predators, the Coyotes are feeling good about their chances. After losing two straight years in the first round to perennial powerhouse Detroit, the Coyotes drew a more favourable match up this year against the ‘Hawks, and they used it to their advantage. 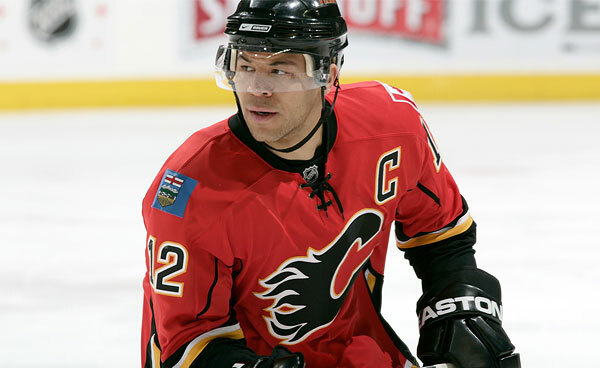 Led by the ageless Ray Whitney in the regular season with 77 points in 82 games, the Coyotes feature no true superstars. They have a number of very good players, but no one to the caliber of Patrick Kane or Shea Weber, two of the star players that they have faced this postseason. However, they are able to win through grit and going to the dirty areas of the ice. What they lack in talent, they make up for in work ethic. With 2010 Jack Adams Trophy winner Dave Tippett behind the bench, the Coyotes employ a system that incorporates strong defense and goaltending with hard work. With Preds forwards Alexander Radulov and Andrei Kostitsyn sitting out game 3, look for Phoenix to take a 3-0 stranglehold on the series tomorrow night. I realize that I did pick Nashville to win the series in 7 games, but I seem to not be too great on those judgement calls. Nevertheless, I correctly said that Radulov was a player to watch. With him sitting out in a pivotal game, the Coyotes could put the Predators in a hole that only 3 teams in history have come back from. The only question I have is, who will accept the Cup as owner when the Coyotes win Lord Stanley’s trophy?